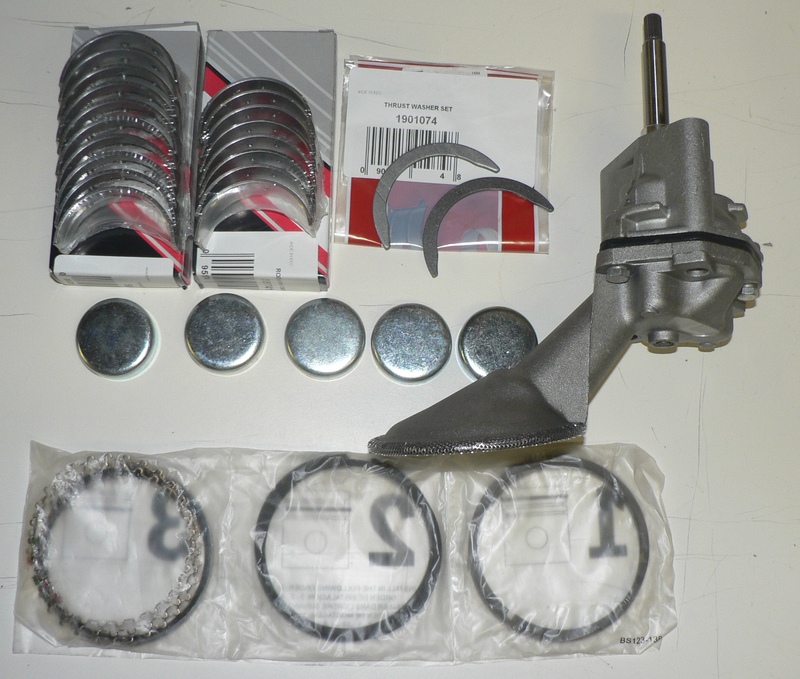 Fiat Spider Engine rebuild kit.880366 piston ring set, 5880256 main bearing set, 5951741 rod bearing set 1901074 thrust washer set, oil pump, and freeze plug set. piston ring set, main bearing set, bearing set thrust washer set, oil pump, and freeze plug set. Our engine rebuild kits cover all model years Fiat 124 Spider 1968 through 1985. Fiat 131 brava with DOHC engine, Lancia Beta and other fiat models. so let us know the year of your car, and what engine it has, and we will supply the correct parts for that car for this kit. if you need oversized rings, bearings etc, the price of individual parts may be slightly higher. but, you've seen our prices, so it won't be much. OIL PAN 1979-85 1995CC easier to install without baffle! so that we can get your commercial address & Tax information and exact engine details.